Central Command not consulted? Well, what’s new? I guess none of us should be surprised to hear this bit of news from near the very top of the U.S. military chain of command. 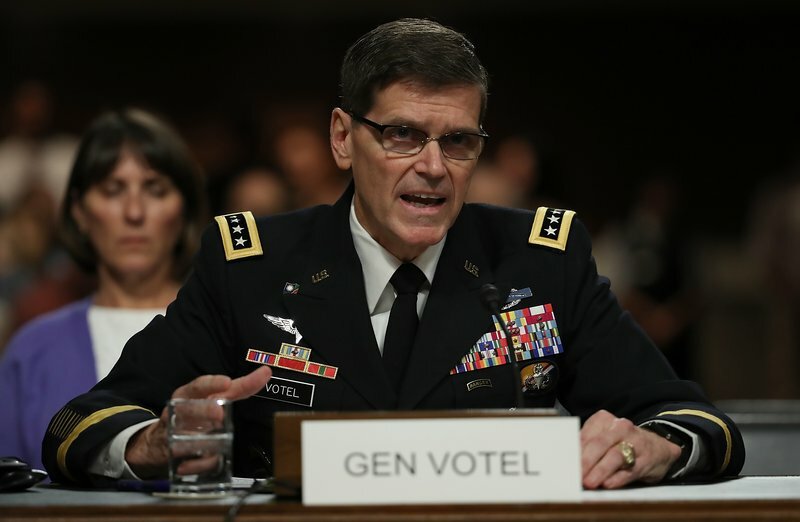 Army Gen. Joseph Votel, commanding officer of the nation’s Central Command — which has authority over deployment of personnel in the Middle East — told Congress that Donald Trump didn’t consult with him before announcing his decision to withdraw our forces from Syria. The president, though, did declare the Islamic State to be “defeated badly,” which was his seat-of-the-pants justification for leaving Syria and turning the fight over to . . . Syrian resistance forces. The tragedy of it is that the Republican presidential candidate persuaded just enough voters living in just the right states to score an Electoral College victory to be elected the 45th president of the United States. So he now gets to govern without consulting the “best people” who ought to include Gen. Votel, a combat Army veteran with vast knowledge of the Islamic State and the threat it still poses in the region and around the world. However, Donald Trump is wired to be all-knowing all the time, or so he would have us believe. Except that I don’t believe a single word that flies out of his mouth. Put yourself into James Mattis’ boots for a moment. You’ve just tendered a resignation letter that scorches the commander in chief’s methods of governing, of managing the nation’s foreign and military policies. You have told the president of the United States you would stay in your job as defense secretary until Feb. 28. But the president is so angry with you — with all the attention and love you’re getting from the media and politicians of both parties — that he’s decided to cut you loose early. You’ll be gone instead by the end of December, just a few days from now. How do you react to that? If it were me, I would be thrilled to death. Thrilled beyond words. Excited to get my life re-started. Secretary Mattis isn’t married, so he doesn’t have a spouse or children to share his joy, but my guess is that he’s cheering along with his best friends, siblings and other extended family members. 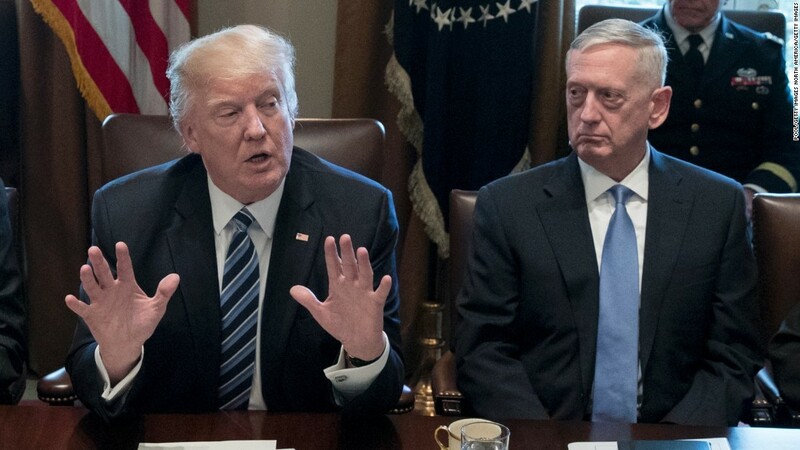 Donald Trump well may have done Mattis the biggest favor he could imagine. He has spared the retired Marine general from the chaos of another two months working within an administration where the cadence is being called by someone who is clueless about how government works. He doesn’t know how to forge and maintain strategic alliances. The commander in chief has no inkling of how his policy pronouncements via Twitter disrupt the normal flow of information. Mattis brought a retired Marine Corps general’s order and discipline to the president’s inner circle, to his national defense team. He will take it all with him when he departs on New Year’s Day. Meanwhile, Donald Trump will keep on bumbling his way toward an uncertain future as our head of state. The newly department secretary of defense will be relieved of the insanity and chaos that now masquerade as presidential governance. James Mattis is likely smiling broadly. I know I would be. So would you. Who’s next at Defense? Will it be a Trump ideologue? James Mattis’s stunning resignation as defense secretary poses the next obvious question for those of us who are concerned about the future of our national defense policy. Who in the world is Donald Trump going to find to succeed the man who quit because of serious policy differences with the White House? More to the point: Will the next defense boss — unlike the warrior/patriot who’s leaving — going to be a sycophant who’ll do the president’s bidding without challenging him in any fashion? Let’s lay this out right away: Donald John Trump is the first president in U.S. history who has (a) no military experience and (b) no prior government experience. I don’t begrudge the president for lacking any military background; he’s far from the first one to bring that lack of credential to the nation’s highest office. But the absence of both backgrounds, taken together, puts this matter into a whole new context. 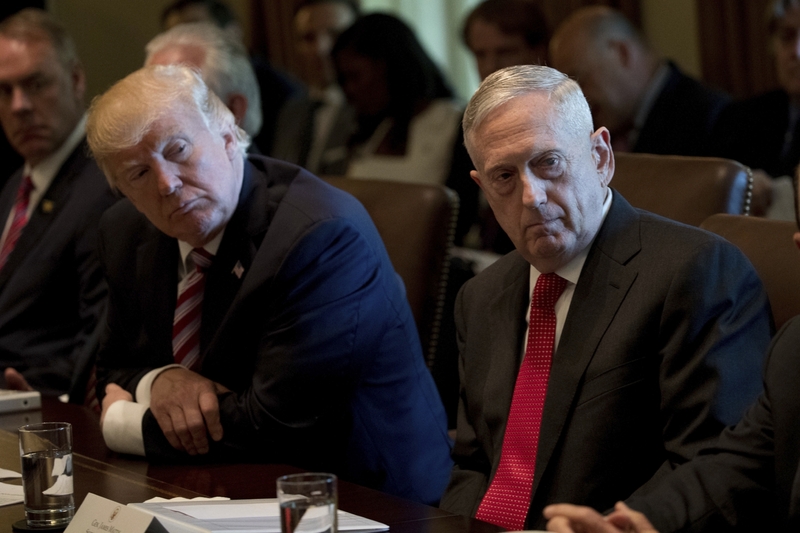 Mattis quit over differences on an array of policy matters with the president. 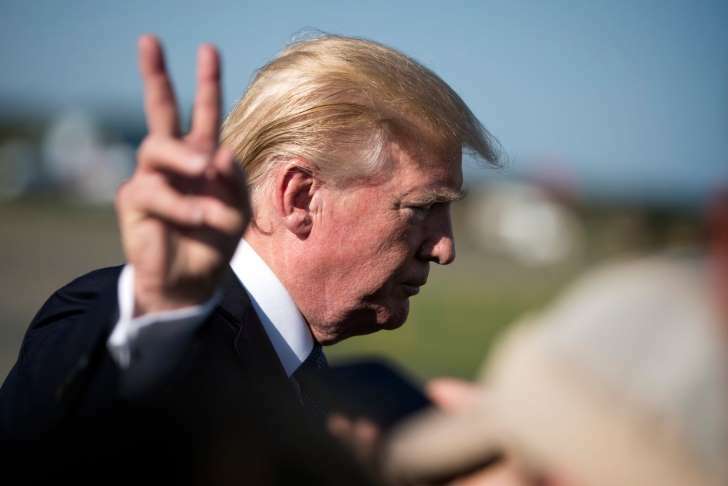 The deal breaker appears to be Trump’s sudden decision to pull our troops out of Syria, leaving the battlefield while the fight against the Islamic State is still under way. Mattis opposed that decision. The president didn’t heed his advice, or the advice of any other military or diplomatic expert with access to the Oval Office. What in the world does it tell us that Russia — which is propping up the Syrian dictator — endorsed Trump’s decision to withdraw from Syria? Is the president, therefore, going to look for someone who shares his world view on how to shaft our allies, kowtow to dictators, allow the know-nothing commander in chief to do as he pleases whenever he pleases? Mattis, a retired U.S. Marine Corps general with more than four decades of service to the nation — much of it on battlefields around the world — is none of the above. Moreover, he is revered by the men and women who serve under him. He commands respect because he gives respect to our allies and those who are thrust into harm’s way. This man’s resignation is a big . . . deal. ‘Forever’ is way too long, however . . .
Mr. President, I presume you have asked a rhetorical question that really doesn’t require an answer, but I’ll provide one anyway. You asked if the nation wants to stay “forever” in Syria, fighting the bad guys, terrorists, those who prey on innocent civilians. No rational human being wants to fight forever. You know better than to ask such a sophomoric question. You said in a tweet: Getting out of Syria was no surprise. I’ve been campaigning on it for years, and six months ago, when I very publicly wanted to do it, I agreed to stay longer. Russia, Iran, Syria & others are the local enemy of ISIS. We were doing there work. Time to come home & rebuild. The issue behind your reckless and feckless decision to pull totally out of Syria centers on the method you used to reach your unfounded conclusion that we have “defeated” the Islamic State. I don’t believe ISIS is defeated. They’re still a hideous menace. Furthermore, the Defense Department has made that determination, too. Same with the CIA and the State Department. Yet you ignored them the way you seemingly ignore the advice you get from the “best people” who surround you. Your decision really cannot be defended rationally. You might think it’s a defensible position, but the reality is that you came to that conclusion seemingly without ever consulting with the experts who work for us. I hear Vladimir Putin endorses your decision. So do the Turks and the Iranians. Hey, they’re all “allies,” right? Hah! Mr. President, “forever” is too long a span of time to keep thrusting young Americans into harm’s way. The experts, though, have been saying all along since 9/11 that declaring victory in this war against terrorists is too dicey a deal to be handled cavalierly. We aren’t fighting a government. We aren’t fighting a force that answers to a head of state. These bad guys are cunning and slippery and pretty damn creative in their methods of attacking others. You need, sir, to listen carefully to what those in the know are telling you. Well, whatever. I know I might as well be talking to my shoes. I just have to get it off my chest. Donald Trump did what he needed to do when he ordered “precision strikes” against Syrian chemical weapons facilities. The White House has declared “mission accomplished” with regard to the strikes launched by U.S., French and British air power. It was an impressive allied effort to retaliate against Syrian dictator Bashar al Assad’s use of chemical weapons against civilians, including children. The sight of those victims convulsing and heaving in the wake of the gas attack sickens the heart. It also points out that we are dealing in Syria with an animal disguised as a strongman. To hear the Russians, Syrians and the Iranians deny that Assad gassed civilians is to defy credulity. Of course he did it. Assad has shown such propensity in the past. The air strikes, though, have accomplished their mission, which was to destroy Syria’s ability to deliver chemical attacks. Reports from the field indicate that the air strikes — as deadly as they were — did not prevent a future gas attack. Which brings me to a critical point. To claim “mission accomplished” requires proof that Assad has been rendered impotent militarily. That hasn’t happened. We once heard a president of the United States, George W. Bush, issue a similar “mission accomplished” statement after our forces invaded Iraq in 2003. We captured the late Saddam Hussein, resulting in President Bush making that landing aboard a U.S. aircraft carrier, where he stood under the banner proclaiming that we had accomplished our mission. The war dragged on for years after Saddam’s capture and execution. Trump cannot make such a declaration yet. The Joint Chiefs of Staff — at the president’s direction — have executed, in conjunction with our French and British allies, a strong response to Syria’s dictator. Let us hope it doesn’t lead to a broader conflict or — and this is the worst case — open conflict with Russia and Iran. A mission that is accomplished fully will render Bashar al Assad incapable of inflicting such misery ever again on helpless victims. I feel the need to mount a brief self-defense. Some folks on my social media network have accused me of being perpetually negative toward Donald J. Trump. That is not true. * I praised Trump’s signing of a bill that made it easer for whistleblowers to rat out wrongdoing within the Department of Veterans Affairs. * Trump drew praise from yours truly for launching the missile strikes against Syria after the Syrian government used chemical weapons on its citizens, killing many civilians. * The president and the first lady earned kudos from me when they went to Houston after Hurricane Harvey savaged the Texas coast. * I offered a follow-up comment on the president taking selfies with victims of Harvey’s wrath, showing a glint of humanity. * I offered a good word for Trump when he went to Las Vegas recently to lend aid and comfort to the victims of that horrific massacre while offering words of support to the first responders who acted so heroically. One critic of this blog calls me “bitter” over Hillary’s loss to Trump; another critic thinks all “liberals” look for reasons to speak ill of the president, and he thinks I’m one of ’em. I’m not bitter. Disappointed, yes. As for looking for reasons to criticize Donald Trump, I never have to hunt for them. They do seem to present themselves with stunning regularity. So … there you have it. The president has earned praise from yours truly. I want to offer more. First, though, he’s got to earn it. It’s time for a serious mea culpa. Mitt Romney once declared during the 2012 presidential campaign that Russia presented the “greatest geopolitical threat” to the United States of America. I was one of millions of Americans who laughed at the Republican presidential nominee. Five years later, I regret laughing. I regret dismissing Mitt’s assessment. I regret writing some negative blog posts about what the nominee said. We are learning today — and in the course of the Donald J. Trump campaign and his presidential administration — that the previous GOP nominee was ahead of his time. It can be argued, I suppose, that international terrorists presented a greater geopolitical threat than Russia in 2012. Our special forces had just killed Osama bin Laden, but al-Qaeda was still going strong. The Islamic State had emerged as a monstrous threat as well. The Russians, to my mind, seemed at the time to have been relegated to a back bench. Silly me. Mitt Romney seems to have been spot on. The Russians are undermining NATO; they invaded Ukraine; they are propping up a murderous regime in Syria. They also sought to affect the outcome of the 2016 U.S. presidential election. The startling revelation today from Donald J. Trump Jr. that he accepted a meeting invitation anticipating dirt on Hillary Rodham Clinton from the Russian government suggests an existential threat to this nation’s sovereignty. There’s still a lot of ground to cover before we determine any criminality on the part of the Trump presidential campaign. However, I do believe it is becoming quite clear that the Russians remain a force with which we must reckon. Gov. 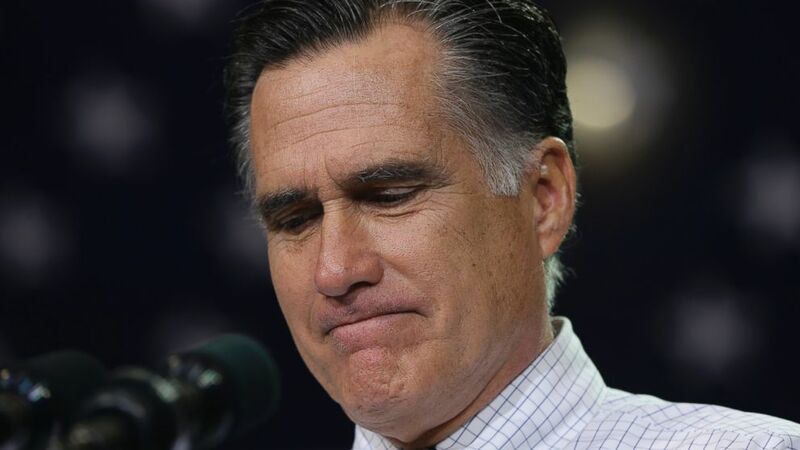 Romney, I hereby apologize for doubting you. That dreaded 100-day “deadline” looms for Donald John Trump. We’re about one week away from it. Will it produce a winning report card for the president? Will those of us in the peanut gallery be able to call the new president’s start a rousing success, which Trump himself has done already? 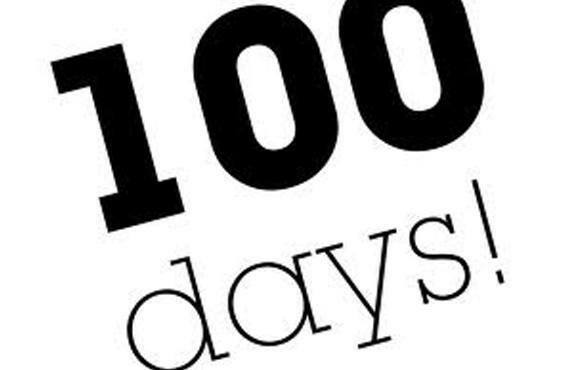 Does the 100-day mark matter? Perhaps it shouldn’t count as much as it does. President Franklin D. Roosevelt set up this artificial barrier when he took office in 1933 and it’s been held as sort of the benchmark for early presidential success ever since. But it’s early in any new president’s term. Donald Trump is no different. All along the way en route to his winning the election, the Republican candidate for president kept telling us about all the things he would accomplish in those first 100 days. * Affordable Care Act? Repealed and replaced. * Draining the swamp of corruption? He’d institute a new government ethic. What’s happened? The ACA remains. Tax reform hasn’t even been introduced. The swamp is still full. The president can count precious few legislative triumphs. In fact, I can’t think of any. Can you? He’s signed a lot of executive orders. I particularly like the one that banned government officials from becoming lobbyists immediately after leaving public service. Sure, he launched that missile strike against Syria after that horrendous chemical weapons attack. I give the president kudos for that action. But he’s got North Korea sounding more threatening than ever; Trump said he dispatched the “great armada” led by the USS Carl Vinson, but the carrier-led strike group to date is nowhere near the Korean Peninsula. Donald Trump’s very own big mouth has victimized him. Just maybe once the president gets past this 100-day hurdle, he will decide to tone down his constant boastfulness and learn finally — finally! — that governance requires much more than shooting off one’s big mouth. We already are in Syria, sir. President Barack Obama ordered several hundred special forces troops onto that battlefield to assist and train and coordinate attacks launched by “free Syrian” rebels fighting the Russian-backed government of dictator Bashar al Assad. I also would add that the missiles launched from ships off the Syrian coast suggest that a more serious involvement by the United States in that conflict. Times and circumstances do change, Mr. President, as you now are learning. Someone will need to remind the president that he used to believe that we should leave the fighting to the rebels. He also used to suggest that Assad’s forces — along with the Russians — could be capable of taking out the Islamic State terrorists. Let the Russians deal with ISIS, he said. Sure thing, Mr. President. That will work out just fine. My point, though, is that we already are engaged in Syria. Our special forces put their lives on the line every moment of every day they are deployed there. The bigger, more important, question is whether we’re going to commit thousands of troops to fight ISIS head to head. I’m now concerned that the president hasn’t given that option the careful, thoughtful and prayerful consideration it deserves.